UPDATE: first round winners have been chosen but you can still enter to win a pair of VIP tickets to the Sunday Heritage BBQ on www.facebook.com/gourmetpigs ! 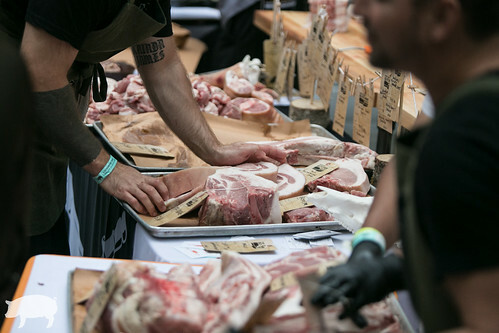 Cochon555 is a competition and food festival dedicated to promoting heritage pig breeds. At the main event in each city, five chefs will partner with five farms to prepare dishes, utilizing 1500 lbs of heritage breed pork! The Heritage BBQ is coming to Boston at SoWa on April 9, as part of a three-day weekend of food, art, and thought called BESPOKE. It starts with CREATE on Friday evening, April 7. CREATE showcases Boston's artists paired with the city's guests and bartenders. On Saturday there'll be a forum (which I'll talk about shortly), a local producers' market and chef's pantry and a charity dinner. Sunday is the main event, the Heritage BBQ, where the chefs from Townsman, La Brasa, Loyal Nine, Tapestry, and Juliet will compete head to head, or nose to tail, for the Prince (or Princess) of Porc title. I'm also giving away two VIP tickets ($400 value) to the Heritage BBQ, which you can enter via Instagram until April 4 here. They're also incorporating a new component this year, a forum called BESPOKE: An Exploration of Taste & Thought. 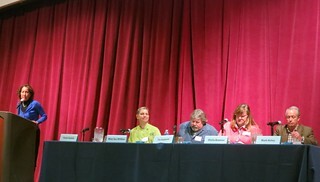 Taking place on Saturday, April 8 from 9AM to 2:30PM, the Bespoke forum will feature keynote speeches on the topic of Food and Landscape, and a panel on the topic of Power, Labor, and Class in the Food Industry. Beyond the food for thoughts, the day will also be interspersed with a pop-up ramen bar and tastings of German Rieslings and Glenfiddich scotch. There will also be plenty of cold brew to keep everyone going.